The production Microtech Cobra knives are in! 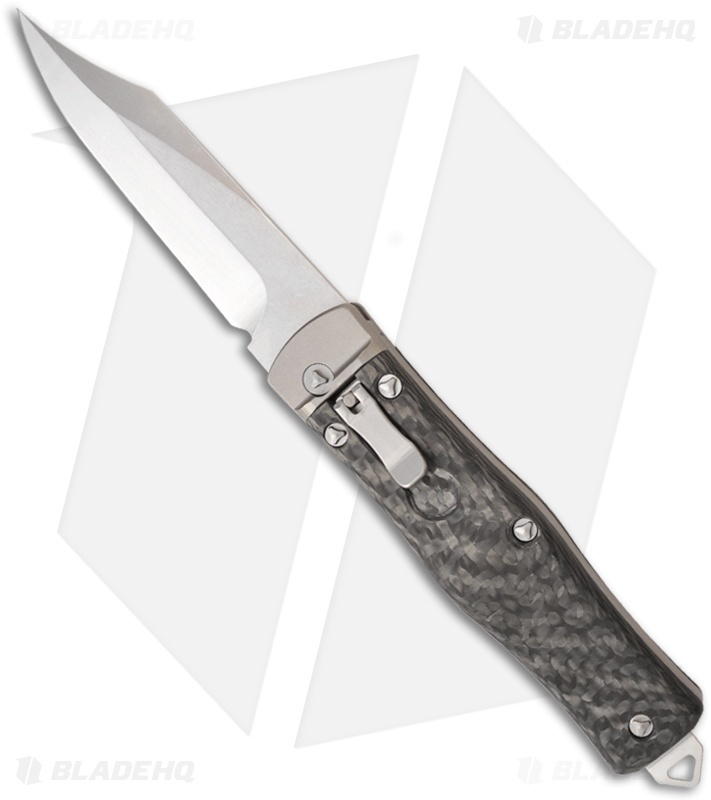 This one sports a stonewashed Bowie style S35-VN stainless steel blade with a plain edge. The handle is carbon fiber with titanium spacers and bolsters. The pocket clip has the serial number, date and model information. 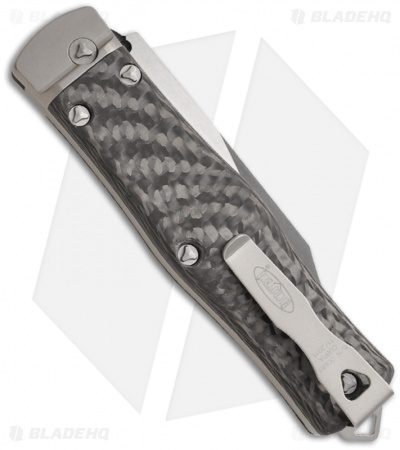 The Cobra features a lever lock mechanism, simply open the lever and push it down and the knife will open. The Cobra has two leaf springs to ensure that the blade opens quickly and reliably. When in the closed position the lever acts as its own safety.